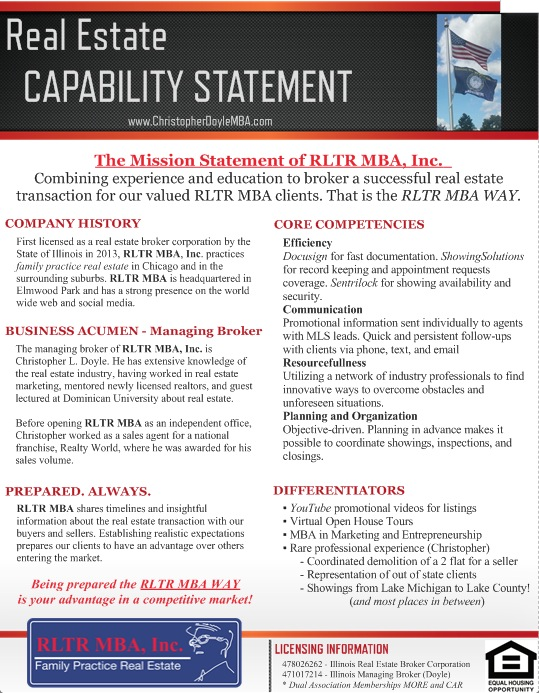 The Mission Statement of RLTR MBA, Inc.
for our valued RLTR MBA clients. Being prepared the RLTR MBA WAY is your advantage in a competitive market! Professional Realtor and Managing Broker of RLTR MBA, Inc.